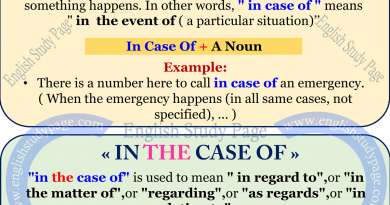 The tense in if clause is generally simple past tense; the tense in main clause is generrally would although there are different uses which we will specify below. The conditional sentences indicate us a possible condition and its probable result. It means that the expected actions depends on a condition. 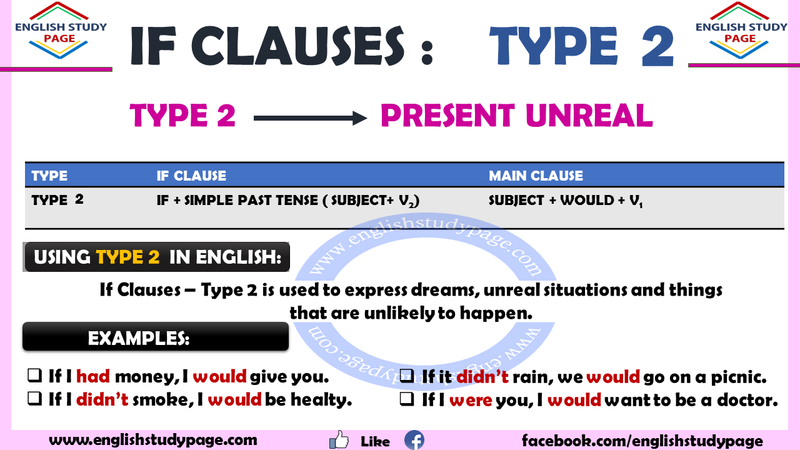 If Clauses – Type 2 is used to express dreams, unreal situations and things that are unlikely to happen. In other words, The condition specified in the clause is not actual but is a condition that is currently being imagined. Although the verb is used in the past, we use type 2 when talking about present time or now. If I went to Paris, I would see the Eiffel Tower. / I would see the Eiffel Tower if I went to Paris. If you had a n invitation card, you should go to the party. / You should go to the party if you had an invitation card. If we used the time properly, we would finish our project. / we would finish our project if we used the time properly. If I had enough experience fort he job, the boss could hire him. If I could speak english very well, I would look for a job in foreign companies. If I understood what the teacher said, I could tell you. 3. 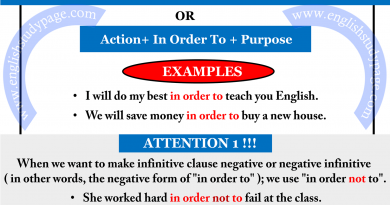 In ‘If Clauses Type 2’, we usually use ‘were’ which is past form of ‘to be’ instead of ‘was’ although the pronoun is ‘I, he, she or it’. If I were you, I wouldn’t marry with him. If she were ill, she couldn’t attend the meeting. If it weren’t snowy, I would go out. If I woke up late, I wouldn’t I be aware of what happened. If my mother did not remind me, I would forget my worksheet at home. If she were angry, she wouldn’t not talk to us. What would we do firstly if a fire broke out? Would you cry if he left you? What would you do if you learned that you had a bad illness? 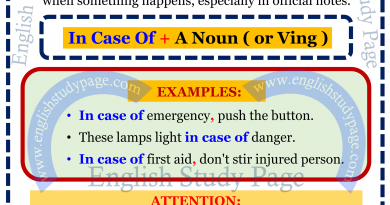 In If Clause; past form of to be, past continuous tense, should, could and had to are also used. If you were clever, you would understand what I meant. If she were cooking, I would help her. If he could come here, they would show him something that you would like. If I had to attend to the meeting, I would miss the plane. If she should join us (were to join us), She wouldn’t be bored. If I had one more chance, I would try to find out where I made the mistake. If it weren’t important, I would not be looking for him right now. If I had a good education, I could apply for a job abroad. If he earned lots of money, he would be able to buy a new car. If we had time, we might get the course. If she did not finish the project, she would have to get up early today. 7. Would can be written short as ‘d’. You can always use this abbreviation. If you lost time, you would ( you’d ) miss the bus.